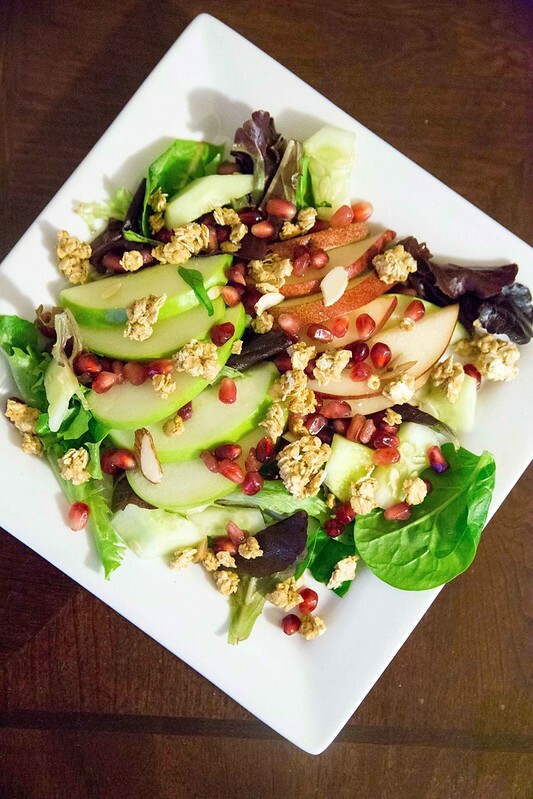 With the holidays behind us, I’ve been trying to make better choices when it comes to my meals, and this Winter Salad with Granola is one of my go-to recipes. It’s light and fruity, and the crunchy granola topping adds a yummy texture and flavor to it. 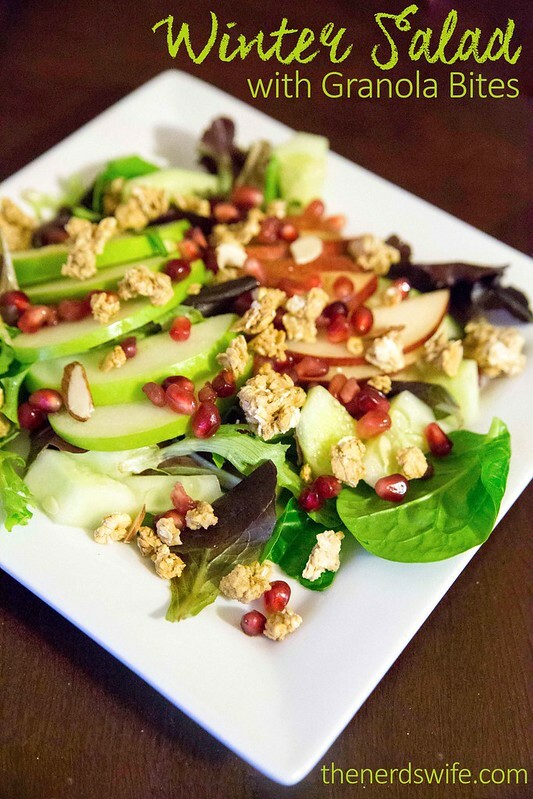 This Winter Salad with Granola features all my favorite flavors of the season: juicy pears, tart apples, and crunchy pomegranate. I also added an easy granola topping using Quaker® Simply Granola cereal. It’s got clusters of delicious granola and slices of almonds that make the perfect topping for salads. I was able to shop for all the ingredients for this recipe at Walmart. I found Quaker® Simply Granola on the cereal aisle. 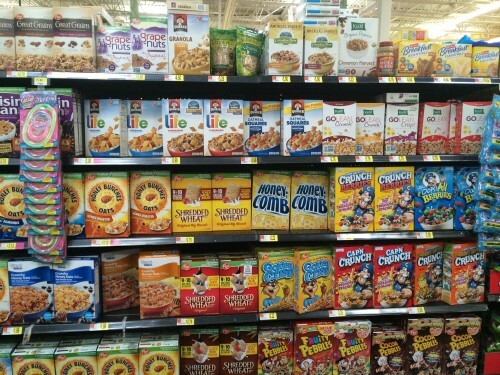 I also want to check out Quaker® Real Medleys®, Quaker® Oatmeal Squares, and Quaker® Life cereal. They look like they’d make great snacks to keep on-hand throughout the day. Slice the pears and apple and add to the salad mix. Peel the cucumber and cube it, then add it to the salad. 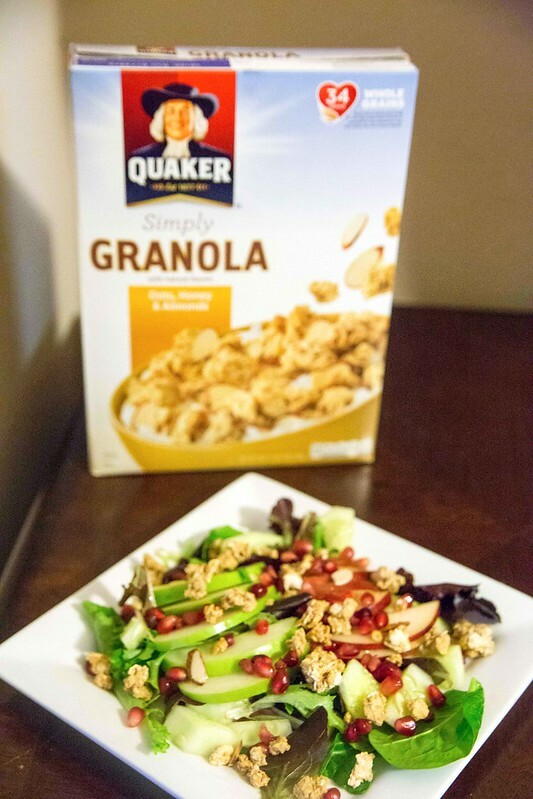 Top with pomegranate seeds and Quaker® Simply Granola. Serve with balsamic vinaigrette dressing. What are your favorite winter fruits?